May I just add how much of a sucker we are when it comes to packaging? Surely guest of the hour - likami surely did not disappoint. 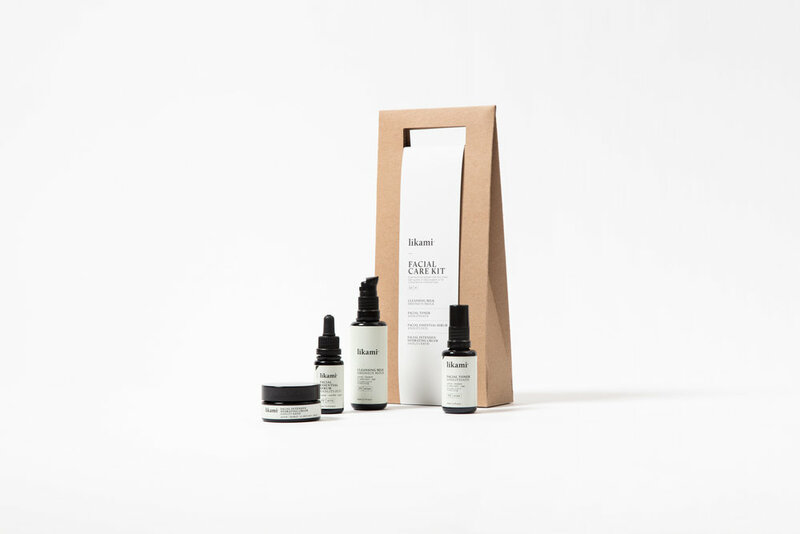 Botanical, Organic, Natural - likami is a new generation of skincare products based on natural technology, revolutionising the traditional approach to quality skincare, hair, body and facial care. We spoke with Marianne and she mentioned Likami products work great individually, but you can easily combine well with other products too. However, used daily, the high-quality 4-step program will give you the best results - including the cleansing milk, facial toner, essential serum and intensive hydrating cream. Just look at this beautiful minimal packaging - I mean? If that doesn't fit our aesthetics at The Alchemiss, I don't know what else does! Stay tuned for our next newsletter and try it for yourself ;) Check out their full range here. But I feel market is changing, time is changing, customer is changing.People are looking for products with a ‘STORY’. They want to know more who is behind the brand, what is the philosophy of the brand. They want also to know much more about the product. How it is made, how it is packed, …. Young people now, are very much engaged in eco / slow fashion / sustainability / conscious /….. And that’s why Likami is born: a product which fit very well with all those idea’s but still fashionable! We call our brand: eco-luxury! What inspires you creatively? What's the process like for creating a new product? Everything should really look and feel same like the philosophy! Eco-luxury! We are a totally natural, botanical, green beauty product, but new style! Also unisex! So both genders should feel attracted to our product. It looks very minimalistic! Packaging is recycled, we use very high-end Miron glass. We work with unique peel-off labels, so no extra packaging. So in creating that product, I was able to use my knowledge of the fashion industry. Also we’ve created a line which is extremely ‘simple’ in use! Not too many products, no difficult languages or formulations. No, likami stands for simple / honest/ what you see is what you get! Pure and honest recipes for daily use with good results! What's one piece of advice you'd give to someone starting a new business? Very classic, but so true: If you believe in it, go for it! In everything I see, feel , hear , …. I think about Likami. Go to your customers, listen to their advice and comments….. We give also workshops (green beauty ateliers) which gives me the opportunity to talk to the people. Their comments and their reactions on our high-concentrated products are very positive! And that’s why we work so hard! My motto is: let’s spread the green beauty love! Likami is made for each person, each gender, each age!